Couldn't decide on a backsplash and ordered these as a possibility. The tile looks wonderful, no chipped or broken tiles. Lovely color and finish. The picture makes them look gray, but they really are white. Very pleased with the quality and price of the tile. 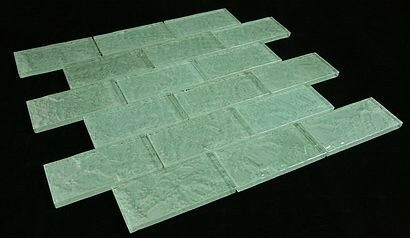 Broadway soft mint 2"x 4"glass mosaic tile for Bathroom Floor, Kitchen Backsplash, unmatched quality.These stunning glass tiles give a unique and dramatic effect.This tile can be used alone or as a gorgeous complement to ceramic and natural stone materials. Size : 1 7/8" x 3 7/8". 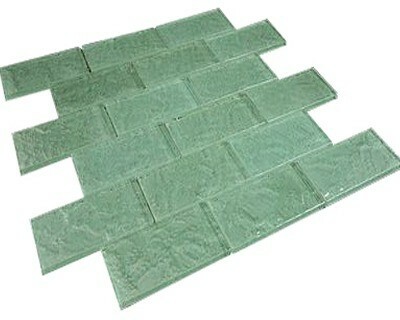 Sheet Size : 13 5/8" x 11 3/4"